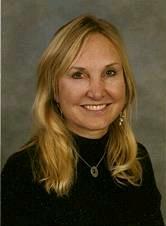 Dr. Lise Wiltse is a board certified anesthesiologist who has completed a fellowship in chronic pain medicine. She possesses the American Board of Anesthesiology additional Qualification of Pain Medicine. Dr. Wiltse earned her undergraduate degree at the University of California, San Diego, where she studied cell biology and biochemistry. She attended medical school at the University of California, Irvine, where she also completed her residency in anesthesia, graduating first in her class. She then completed a fellowship in Pain Medicine.